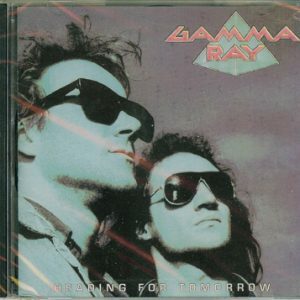 1990 – Heading For Tomorrow – Cd – Brazil. 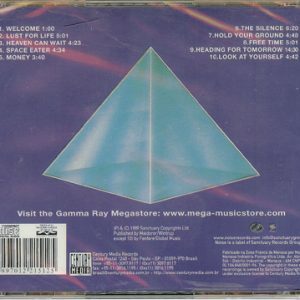 200? 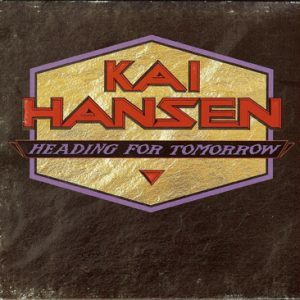 – Heading For Tomorrow – Cd – Brazil. 2000 – Blast From The Past – 2Cd – Brazil. 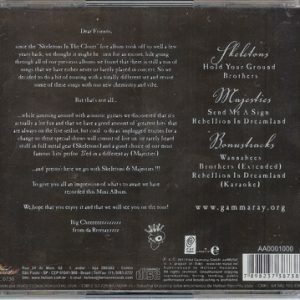 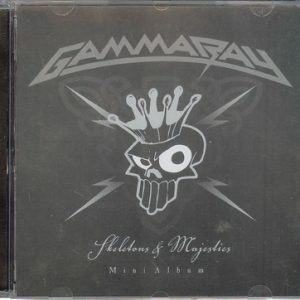 2011 – Skeletons and Majesties – Cd – Brazil. 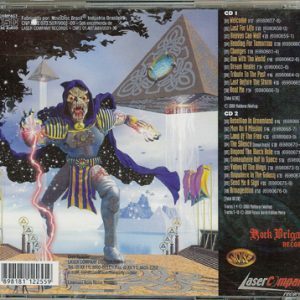 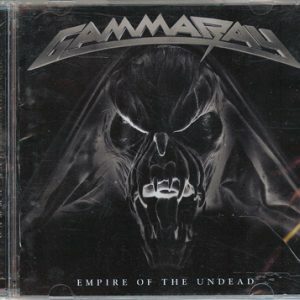 2014 – Empire Of The Undead – Cd – Brazil. 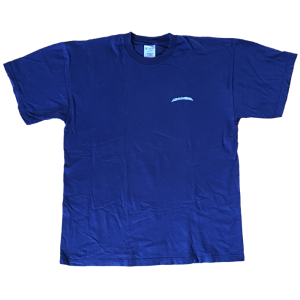 T-shirt – Sigh No More – Bootleg. 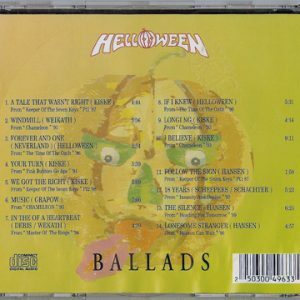 2000 – Helloween – Ballads – Bootleg Cd. 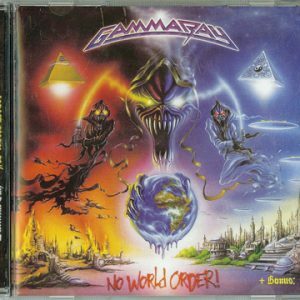 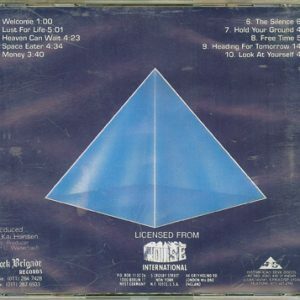 2003 – No World Order – Cd – Russia Bootleg. 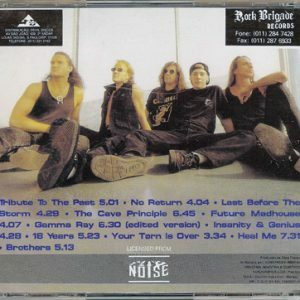 Bootleg – 6 Bonus Tracks. 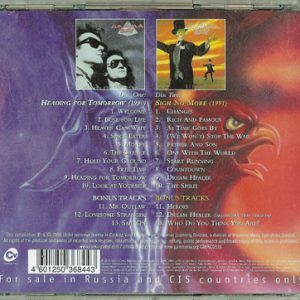 2010 – Heading For Tomorrow/Sigh No More – 2 Cd – Russia. 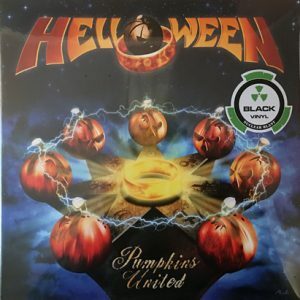 Helloween – Pumpkins United World Tour Flyer – Sweden. 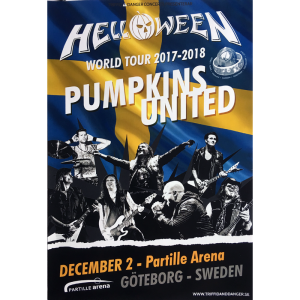 Helloween World Tour 2017-2018 – Pumpkins United – Flyer – Sweden, December 2. 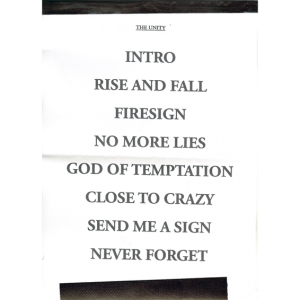 Helloween – Pumpkins United World Tour Flyer – Slovakia. 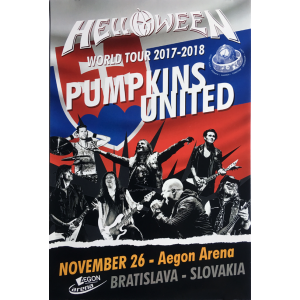 Helloween World Tour 2017-2018 – Pumpkins United – Flyer – Slovakia, November 26. 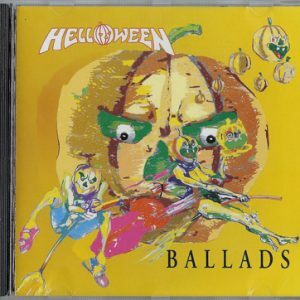 Helloween – Pumpkins United World Tour Flyer – Spain. 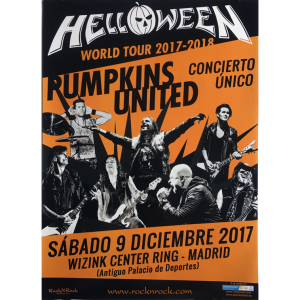 Helloween World Tour 2017-2018 – Pumpkins United – Flyer – Spain, December 9. 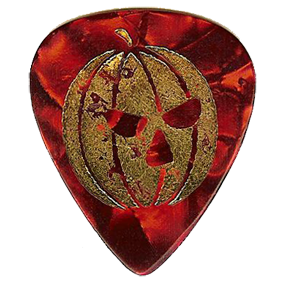 Helloween – Pumpkins United World Tour Flyer – Colombia. 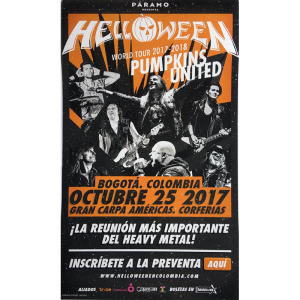 Helloween World Tour 2017-2018 – Pumpkins United – Flyer – Colombia, October 25. 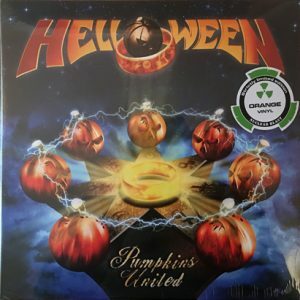 Helloween – Pumpkins United World Tour Flyer – Finland. 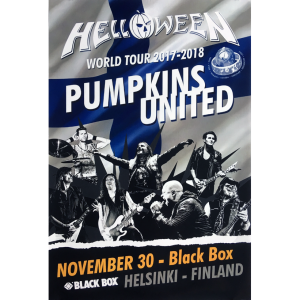 Helloween World Tour 2017-2018 – Pumpkins United – Flyer – Finland, November 30. 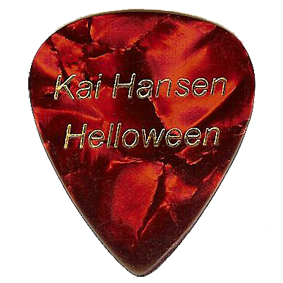 Kai Hansen´s Helloween Pick – Pumpkins United Tour. 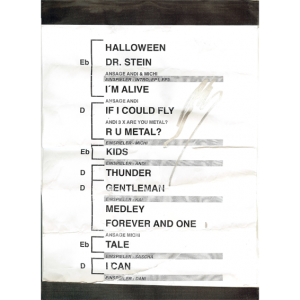 Helloween – Setlist – 2017. 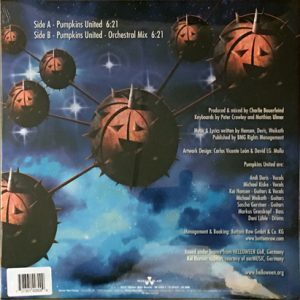 2017 – Pumpkins United – 10” Mini-LP – Orange Vinyl – Limited. 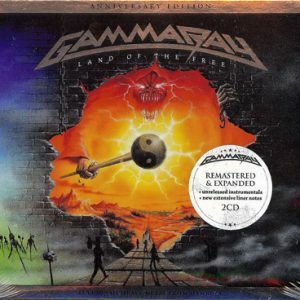 Strictly Limited Edition – Still sealed. 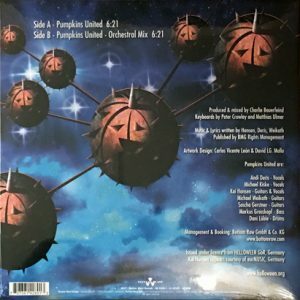 2017 – Pumpkins United – 10” Mini-LP – Black Vinyl. 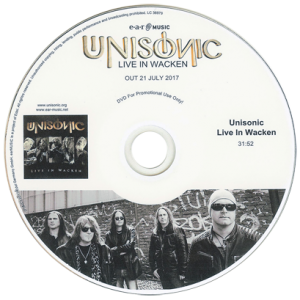 2017 – Hansen & Friends – Thank You Wacken Live – Cd & Dvd – Promo. 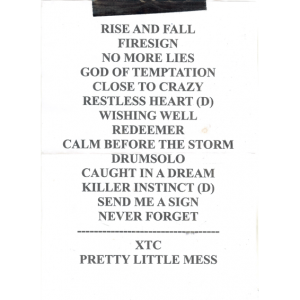 For Promotional Use Only, Cd + DVD including the full show. 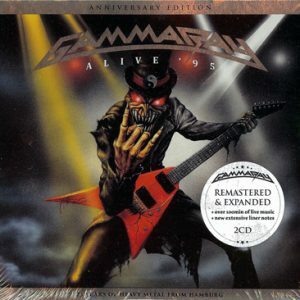 2017 – Alive 95 – (Anniversary Edition) – 2Cd. 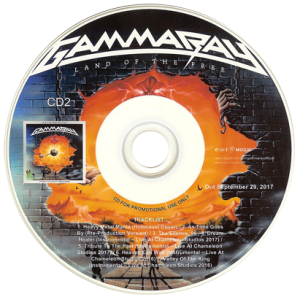 2017 – Land Of The Free – (Anniversary Edition) – 2Cd. 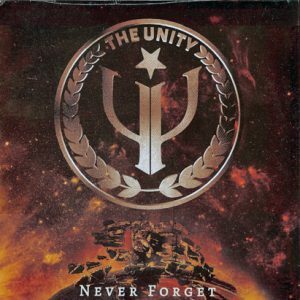 2017 – The Unity – Never Forget – 7-inch Single. 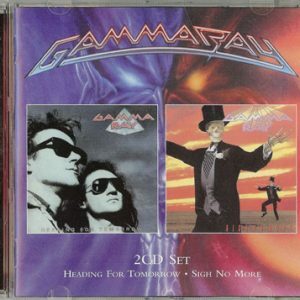 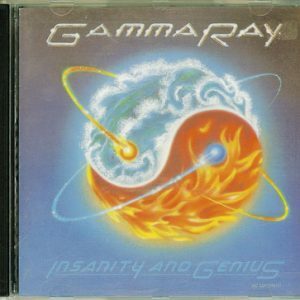 Worlwide limited to 500 Copies – Still sealed. 2017 – Land Of The Free – (Anniversary Edition) – 2Cd – Promo. 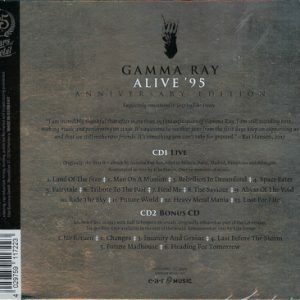 2017 – Alive 95 – (Anniversary Edition) – 2Cd – Promo. 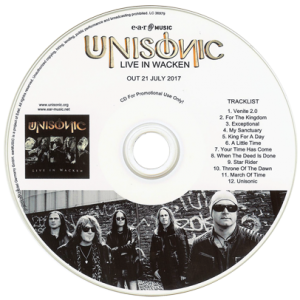 2017 – Live In Wacken – Cd & DVD – Promo. 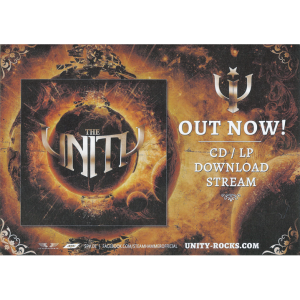 For Promotional Use Only – Cd & DVD. 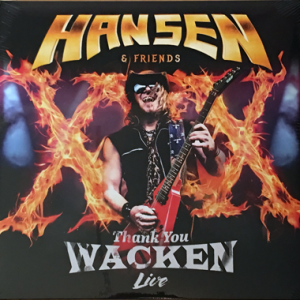 2017 – Hansen & Friends – Thank You Wacken Live – Cd & Dvd – Russia. 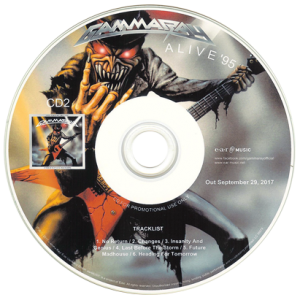 Cd + DVD including the full show – Still sealed. 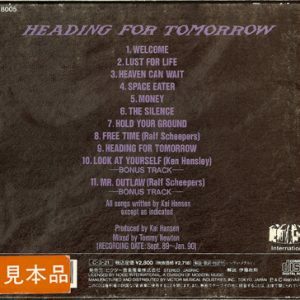 2002 Heading For Tomorrow (+3 Bonus Tracks) – Japan Cd. 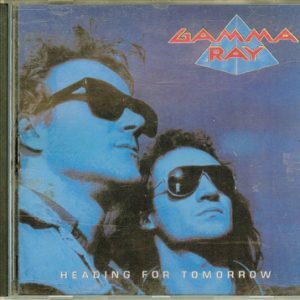 1990 – Heading For Tomorrow – Japan Cd – Promo. 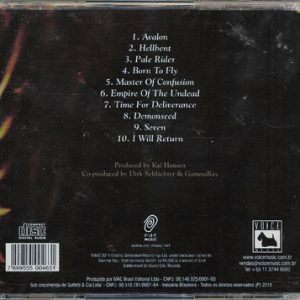 Extra cover, 11 track – 2 bonus tracks – Sample. 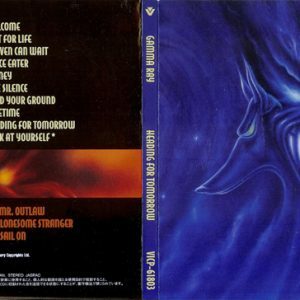 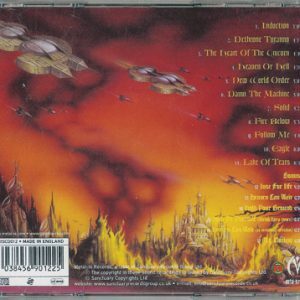 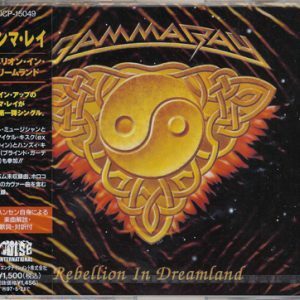 1995 – Rebellion In Dreamland – Cds – Japan – Promo. 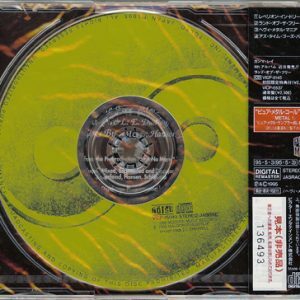 4 track Cds promo – W/OBI+Lyrics – Still sealed. 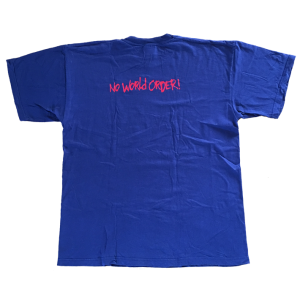 No World Order – Promo – Blue T-shirt. 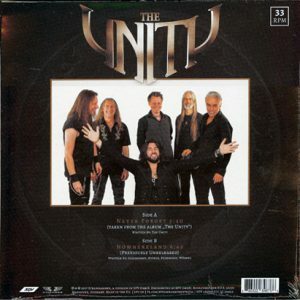 The Unity – Promo Card. 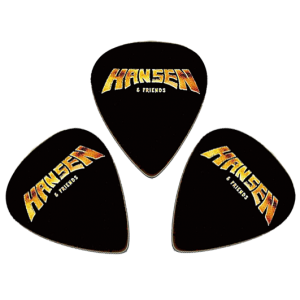 Hansen & Friends – Thanks You Wacken – Picks. 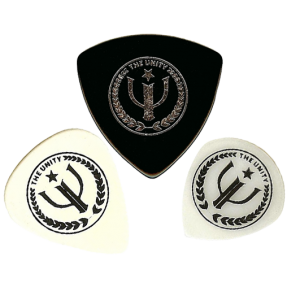 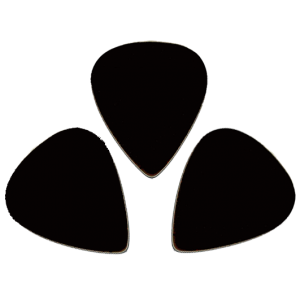 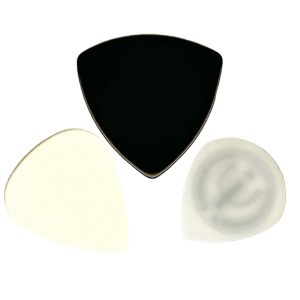 Exclusive to EMP plectrum set (3 plecs, medium – 0.7)! 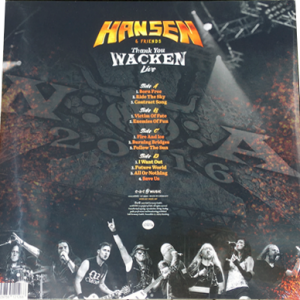 2017 – Hansen & Friends – Thank You Wacken Live – 2Lp. 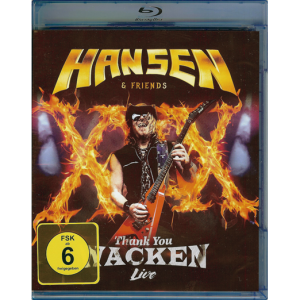 2017 – Hansen & Friends – Thank You Wacken Live – Blu-Ray & Live Cd. 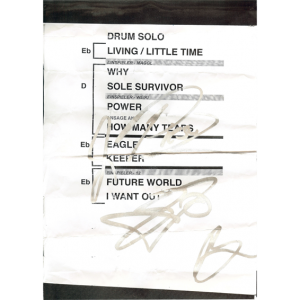 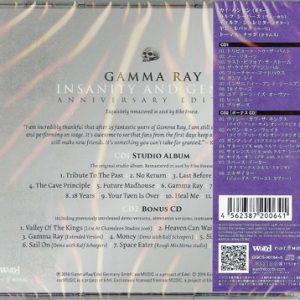 Blu-Ray + Bonus Cd including the full show + 4 bonus tracks. 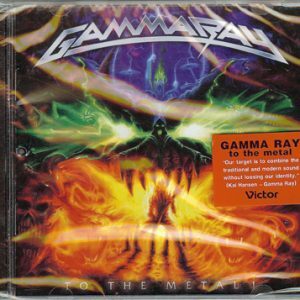 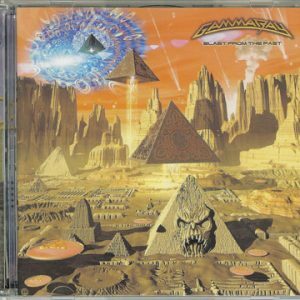 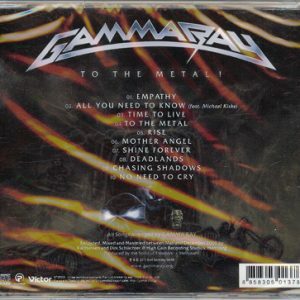 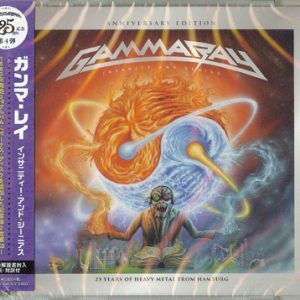 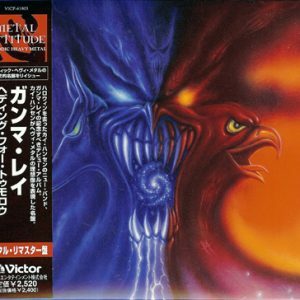 2010 – To The Metal – Cd – Taiwan.